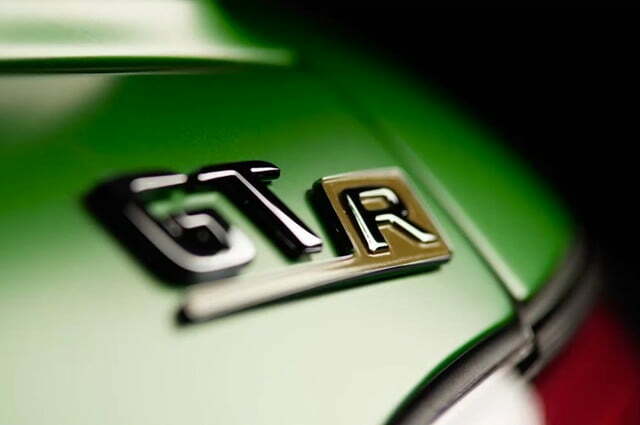 Today, the GT-R nameplate is commonly associated with an immensely powerful Nissan coupe equipped with a twin-turbocharged V6 engine. However, Mercedes-AMG is getting ready to use the three letters on a hotter version of the GT. Mercedes-AMG parent company Daimler has collaborated with Nissan in the past, but AMG’s upcoming GT R shares nothing more than a name with the existing Nissan GT-R. The coupe is billed as a toned-down, street-legal version of the GT3 race car that competes in FIA-sanctioned races all around the world. 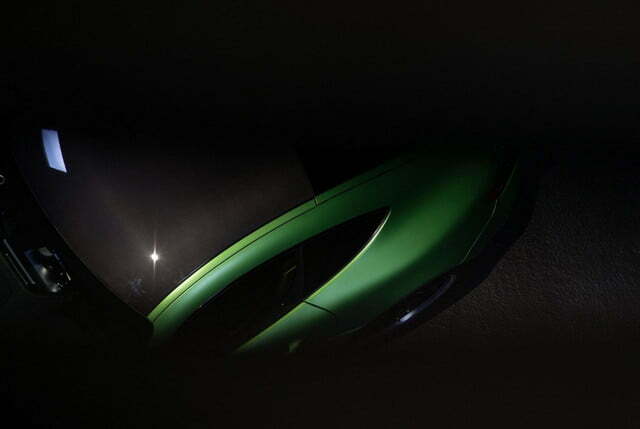 Dark teaser pictures and a Lost-esque preview video suggest that the GT R receives a full body kit that includes a large spoiler out back, and a massive air diffuser built into the rear bumper. It also gets a heritage-laced grille whose design is inspired by the one found on the iconic 300 SL that tore up race tracks during the 1950s. The GT R will be about 200 pounds lighter than the standard GT thanks to the widespread use of weight-reducing materials like carbon fiber. Mercedes has removed a good chunk of the GT’s sound-deadening material, and replaced the standard seats with a pair of ultra-light buckets. AMG isn’t telling us what’s under the GT R’s long hood. However, Motor Authority speculates that power will be provided by a tweaked version of the standard GT’s twin-turbocharged 4.0-liter V8 engine. 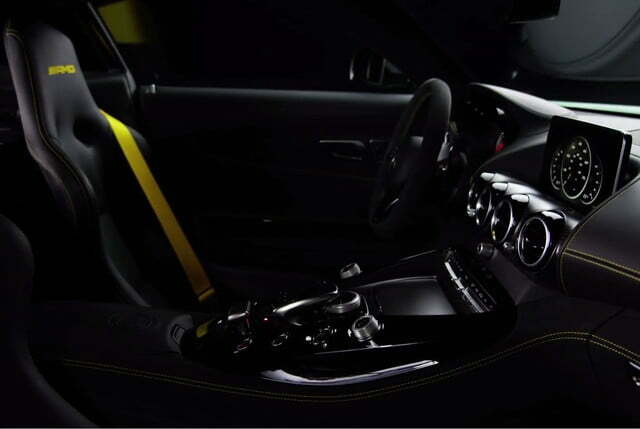 An automatic transmission controlled by shift paddles will send power to the rear wheels. It’s interesting to note that the car depicted in the teaser images is wearing a license plate that reads “S GT 585” — a sequence likely not chosen at random. 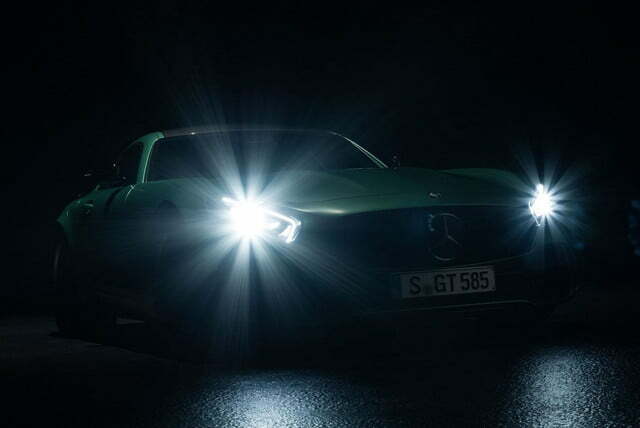 The “S” stands for Stuttgart, indicating that the coupe is registered in Mercedes’ home town in Germany; “GT” is the name of the model; and “585” likely corresponds to 585 horsepower. If we’re right, that’s an increase of roughly 80 horses over the standard GT. 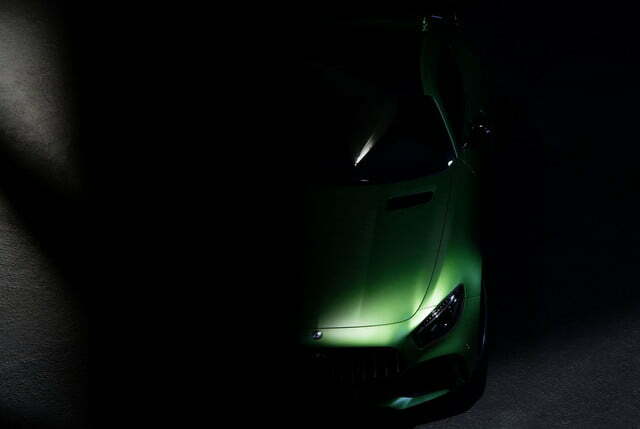 The Mercedes-AMG GT R will make its official debut on June 24 during the Goodwood Festival of Speed that’s taking place in West Sussex, England. It will go on sale shortly after it’s unveiled, though there’s a good chance that it will land as an exclusive limited-edition model.